NFL kickers seem to be stressed out this season, as there's been a rash of missed kicks, including 18 this past week alone. But now, the country of Belize is here to help—offering a free bye-week trip to Belize to the next kicker who misses a field goal or extra point attempt. 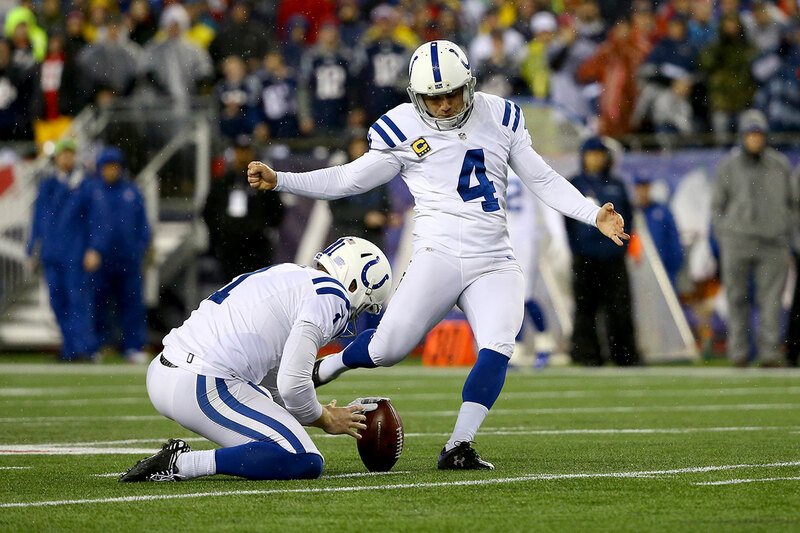 The Colts' Adam Vinatieri (seen above, missing a kick in the AFC Championship Game last January) and the Texans' Nick Novak, who play Thursday night, are first in line for the chance to get rewarded for sucking. Olson Engage has done a bunch of fun stunts for Belize, including making the most of an unflattering mention on Breaking Bad as well as recording "Don't Stop Believin' " parody "Don't Stop Beliezin' " to thanking Journey's keyboardist for visiting.